Thread: Upgrading from HID to LED ? I've got a 2007 S5 with HIDs and I'm not particularly happy with the brightness of it. I previously owned a 2004 A3 and upgraded its low beams to LEDs and it had a massive difference, however the new S5 HIDs are not as half as bright as those LEDs in my previous car. So I'm wondering if it's a good idea to upgrade from HIDs to LEDs as I've seen some kits where the LED can be plugged into the HID socket with some other cabling in the middle. Have any of you guys attempted this before ? I've had some experimentation with LEDs a few years ago. There are some very good retrofit products coming out and very very bright. You need to check that you have sufficient space behind the HID globe to insert the LED alternative. If the LED is any good it will have a relatively large heatsink and/or fan on the back of it and/or other heat sink device. This eliminates its use in most automotive applications as they just don't fit. There are more compact LED bulbs but their output is very low. The other issue is you will need to have a product that corrects the canbus error which will show up. There is also the auto leveling so not sure how that will affect things. Look forward to hearing how you go. Last edited by don; November 6th, 2018 at 04:46 PM. Thanks for the advice Don. I will definitely try this out next month and post the results. One question though, that connector for the LEDs do they directly connect to the socket of the HIDs ? Great, I'll be interesting to see the results. When you are shopping around for bulbs make sure you look for one with LEDs on both sides of the stalk. I notice a lot of them only have them on one side which will not do a very good job replicating the omnidirectional beam of the xenon bulb. Also make sure it has a proper canbus corrector. Avoid using a high power resistor, this is really only suitable for small low power LEDs. The HIDs/Xenon bulb will plug into a ballast which will then plug into the cars 12V power supply/lighting circuit. So you want to bypass the output of the ballast and plug directly before this. There is usually a connector to the ballast to facilitate replacement of the ballast when necessary. Thanks mate. I'll post once I get the proper stuff. Aren’t LED’s classed as a HID? Iv always wanted to know this question. Like they give off about the same light intensity so you would say LED’s are HID’s right? Iv never called them HID’s but either they are a Xeon or LED. But yeh are LED’s classes as a HID? HID stands for High Intensity Discharge, a Xenon bulb is a HID bulb. The word Xenon comes from the inert Xenon gas that is used inside to prevent the filament burning out, hence Xenon. LEDs are far removed from HIDs. LEDs are classed as a semi-conductor and are closer to the electronics in your phone or CPU than an HID bulb. LEDs are definitely superior to HIDs but only when they are specifically built for the purpose, ie., OEM LED head lights. LED retrofits are great for things like interior and tail lights and halogen headlight replacements as they are far superior. However, my reading suggests the 55W HID (Xenon) headlight retrofits are still a ahead of the LED headlight retrofits. The correct beam spread of the LED headlight retrofit can also be tricky to properly select so you need to choose wisely. 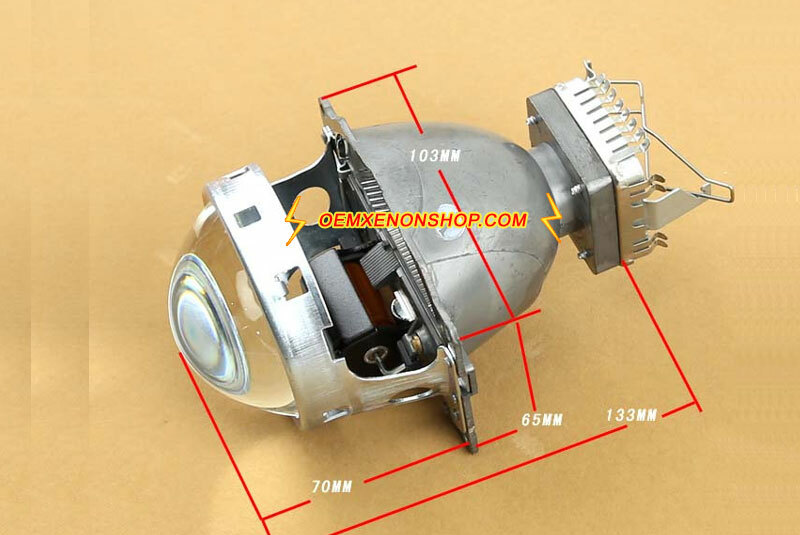 OEM 25W or 35W HID/Xenon head lights are standard with 35W Xenons usually offering plenty of light. 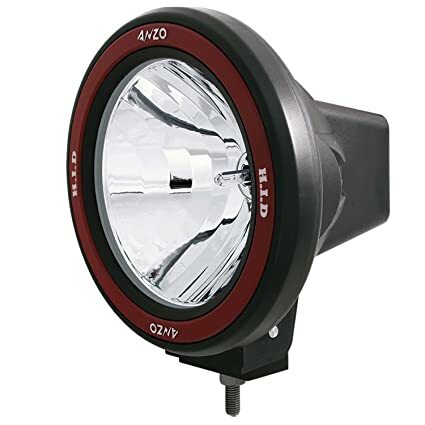 There are also some high output 35W Xenon bulbs such as Philips Xtreme Vision Gen 2 and Osram CBB that are brighter than your OEM xenon bulbs. The other problem with LED headlights is they need to be kept cool in a very hot engine bay. Their ideal max operating temp is probably around 60 to 70 deg C so we're yet to see what the life span of these OEM LED headlights are as you can not simply change the bulb if they fail. Hopefully they have been designed and engineered with adequate cooling in mind rather than designed to last the warranty period. I ended up going with a pair of HIDs which absolutely blew me away with the results. They are the OSRAM Cool Blue XENARC 7000k bubs. I got them for a very decent amount from ebay via a British seller and had no issues in the transaction. The bulbs are absolutely brilliant and from what I've seen they create no headaches for the oncoming traffic. They are so close to white that you would feel almost no difference between them and a pair of LEDs and they give a really wide coverage from the car which lets me even see the pavements pretty clearly. Last edited by Panduka; February 21st, 2019 at 09:19 AM. These are the -off road : not for road use bulbs in the link? Well yes they are marked as Off Road I guess if you were to use them without a focusing lense because they are so very bright. But I checked them myself by driving my friend's car and have him drive mine on the opposite side of the road. They do not give any problems to the drivers on the oncoming traffic. Having said that, this is just my car and my experience, so I would advice you to use it at your own risk. Last edited by Panduka; February 21st, 2019 at 09:17 AM.